Five years ago, on Thursday, September 20, 2007, the United States Court of Appeals for the Federal Circuit issued two decisions that provoked much debate, and which deserve to be remembered. One the Court got right and, sadly, one the Court got excruciatingly wrong. The first case, In re Comiskey, seemed rather straight forward and certainly not earth shattering, except perhaps for one issue – namely that the Federal Circuit issued its decision on patentable subject matter grounds without patentable subject matter ever being an issue during prosecution or on appeal. The Comiskey matter was not, however, finished though because to this purely mental process the applicant added an all purpose computer, which apparently was supposed to transform an otherwise unpatentable process into a patentable invention. The Federal Circuit did acknowledge that “when an unpatentable mental process is combined with a machine, the combination may produce patentable subject matter,” but also stated that “the routine addition of modern electronics to an otherwise unpatentable invention typically creates a prima facie case of obviousness.” Ultimately, however, the Federal Circuit was unprepared to reach a final determination on this point, which was reasonable given that it had never been raised at any point in the prosecution or appeal. 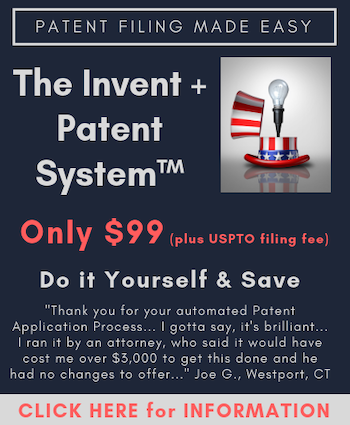 Thus, because the Federal Circuit decided to use the Comiskey case for its own personal 101 agenda it was necessary to remand to the Patent Office for further consideration. Over sixty years ago in Securities & Exchange Commission v. Chenery Corp., 318 U.S. 80 (1943), the Supreme Court made clear that a reviewing court can (and should) affirm an agency decision on a legal ground not relied on by the agency if there is no issue of fact, policy, or agency expertise. As Comiskey points out, some of our cases have concluded that “it is inappropriate for this court to consider rejections that had not been considered by or relied upon by the Board.” In re Margolis, 785 F.2d 1029, 1032 (Fed. Cir. 1986). But these statements referred to situations that required factual determinations not made by the agency… We decline to read these cases as rejecting the breadth of the Chenery decision on which they explicitly relied. Despite the procedural aspects of Comiskey, the substantive patent law outcome of seems to be on steady ground, which is something that cannot be said for the second 101 decision issued on September 20, 2007. In the other case of the day some five years ago, In re Nuijten, the Federal Circuit determined that a propagating signal cannot be patented because it is does not qualify as patentable subject matter. Of course, in order to reach this determination the two judge majority consisting of Judge Gajarsa and Moore, with Gajarsa writing for the majority, had to completely ignore precedent established in State Street and enter into mental gymnastics to explain what was said was really not meant. In State Street the Federal Circuit explained that “[t]he question of whether a claim encompasses statutory subject matter should not focus on which of the four categories of subject matter a claim is directed to—process, machine, manufacture, or composition of matter—but rather on the essential characteristics of the subject matter, in particular, its practical utility.” Of course, in order to find that the signal at issue in Nuijten was not patentable the majority couldn’t be restricted by such language, particularly when being constricted by such language would have mandated a completely different outcome. Rather, the majority did exactly what State Street counciled against, and went item by item finding that a signal does not qualify as either a process, machine, manufacture or composition of matter. Before proceeding it is worth knowing that Nuijten’s patent application disclosed a technique for reducing distortion induced by the introduction of “watermarks” into signals. Furthermore, Nuijten’s technique improves existing watermark technology by further modifying the watermarked signal in a way that partially compensates for distortion introduced by the watermark. Additionally, both Nuijten and the PTO agreed that the claims included physical, but transitory, forms of signal transmission such as radio broadcasts, electrical signals through a wire, and light pulses through a fiber-optic cable. Nevertheless, the majority still determined that the claims were unpatentable under 101 because transitory embodiments are not directed to statutory subject matter. Frankly, I think the ruling in Nuijten can be simply summarized by saying that Judges Gajarsa and Moore didn’t understand the technology. They were treating signals as if they are some kind of black magic, rather than something concrete and tangible that can be created. It was as if they didn’t think there was anything there. If signals are so transitory in nature, there one minute and gone the next as if they never existed at all, why are so many Universities, researches and the United States Federal Government spending so much time and money hunting for signals from distant solar systems and galaxies? Obviously the best minds in the field believe that signals are there to be picked up and identified. Why? Because they do exist, at least for so long as the signal is being propagated. [T]he majority simply assumes, without reference to its own construction of the claim, that Nuijten’s signal is “fleeting.” Majority Op. at 16. The claim refers to multiple “samples,” one “preceding” the next, in a specified relationship. In conjunction with the specification’s references to “prediction” of a watermark bit’s effect on subsequent bits of the input signal and the invention’s preferred use for audio or video signals, it is apparent that the claimed signal must extend over some interval of time. In In re Hruby, 373 F.2d 997 (C.C.P.A. 1967), we held that it was not the dynamic position of any given water droplet, but rather the overall pattern, that was patentable; likewise, here, it is the overall signal, not the physical manifestation of a single bit, that constitutes the invention. Just as the design of a fountain lasts so long as the water is flowing, the signal lasts so long as the transmission of the signal is in progress. In many embodiments—for example, when the signal encodes an audio or video signal representing a symphony or a full-length motion picture that is being watched in real time—the transmission may be in progress for a significant period of time. And as the majority holds, the claim makes no assumptions about what physical form the signal might take. The claim therefore encompasses embodiments, such as inscriptions on paper, in which the signal itself may last indefinitely. In my opinion it was ludicrous to create a distinction between transitory and non-transitory signals, or even suggest that a signal is transitory. Further, Judge Linn determined that the signals at issue should be considered to most closely fall under the “manufacture” language of 101, and further explained that “it appears that rather than delineate specific, narrow categories, Congress has consistently intended statutory subject matter to cover the full scope of technological ingenuity, however it might best be claimed.” Thus, Judge Linn would have the patentable subject matter requirement of 101 actually protect technology moving forward, and the majority would have 101 protect only prior technologies that could fit into rigid pigeon holes identified in 101. Call me crazy, but if patent law is supposed to foster innovation wouldn’t it be a good idea to protect innovation and not require it to be capable of description by categories that are generations old? So much for new technologies! Thus, in baseball terminology, on September 20, 2007, the Federal Circuit went 1 for 2, which would put you on a sure path to enshrinement in Cooperstown, but is not what you would hope for when dealing with an area of patent law as fundamentally important as patentable subject matter. You’re absolutely correct that Nuijten is a terrible. My patent attorney brother and I have often remarked that if the majoirty in Nuijten is correct, then what Einstein got his Nobel Prize for (the photoelectric effect) was “black magic,” not scientific fact. There is just too much corruption and in fraud in our legal system! As European practitioners are well aware, practice before the EPO is directly to the contrary, and signals are patentable over here. US practitioners should ensure that signal definitions appear in the summary of the invention so that signal claims can be added before the EPO without objections as to added subject-matter under the infamous a.123(2) EPC arising. I am reminded that an alternating current is described mathematically as having a real component and a complex component. It could be argued that the complex component has no physical reality. However, anyone who has had the misfortune to have placed a finger in a lamp socket believing it to be off when it is in fact live will have indisputable and personal experience of the reality of the complex component. Si I agree that Niujten is a terrible decision, not least because it takes US practice out of alignment with that in other countries. If you have any interest in drafting something about the patentability of signals in the EPO I would love to publish it. What should US practitioners be putting into the specifications to provide appropriate support in the EPO? If you could point to a few illustrative patents that would make an interesting article. could point to a few illustrative patents that would make an interesting article. My thoughts exactly. I would love to see some good examples of patented signals from the EU. I will give the proposed post high priority. 19. An encoded signal with embedded supplemental data, characterized in that selected samples of the encoded signal are samples of said supplemental data. 20. A unity bit encoded signal with embedded supplemental data, characterized in that selected bits of the encoded signal have been inverted, the number of bit periods between successive inverted bits representing the embedded data. 21. A storage medium having stored thereon a signal as claimed in claim 19 or 20. Recently granted European patents with signal claims include EP 1708501 for a multimedia signal and 1878185 and 1997103 to France Telecom. It should also be noted that the EPO practice is to grant claims to computer program products without the limitation that they should be embodied on a non-transitory computer-readable medium. It is to say the least undesirable that the US should be out of step in the categories of claims that should be granted in this important area, and IMHO the judgment of Richard Linn (who practised as an an examiner and then as a patent attorney, is an electrical engineer and knows what he is doing) is much to be preferred to the majority opinion. It is suggested that the topic deserves reconsideration by the CAFC en banc, and that the industry should actively campaign for reversal of the decision. In the meantime US practitioners should be aware of EPO practice and include suitable foreshadowing language in US-originating specifications otherwise the opportunity to obtain broad computer program product and signal claims may be lost. As I have said, priority will be given to a full posting, but it may be helpful to foreshadow what the posting will cover. How do you handle enforcement? But doesn’t this raise a dilemma for US practitioners? Doesn’t any such language mean at least that claim terms in the US become indefinite? You cannot “foreshadow” and actually claim an invention that does not include transitory media and include that same media at the same time, can you? You cannot “foreshadow” and actually claim an invention that does not include transitory media and include that same media at the same time, can you? Why not? It’s just two different embodiments. One is patentable in the US. Both are patentable in the EU. Perhaps you have not seen the rejections in US practice that come from Broadest Reasonable Interpretation and the fact that because you have embodiments that cover both that the claim must explicitly deny that you think your invention pertains to transitory media. I think that you have a very real ethical concern making an admission like that in the US and making an assertion otherwise in a different venue. The problem is not that they are patentabl in the EU, but rather you must disclaim the one in the US. You cannot disclaim and maintain a claim. You cannot take opposing legal stances. Some embodiments of the invention have the computer program product embodied in non-transitory computer-readable media. Other embodiments of the invention relate to the computer program product per se and embodied in a signal. Provided that it is made clear that these are separate and distinct embodiments, I do not see how broadest reasonable interpretation can read the non-transitory embodiments onto the transitory embodiments. If the examiner is blatantly wrong and is being unreasonable there is now (so I understand) an Ombudsman program. I generally agree with your analysis, but if an is examiner being “blatantly wrong or unreasonable” regarding a rejection, I believe the proper course of action is an appeal. What you say may (or may not) work great for appliations written post-Nuijten in which care can be taken to segregate embodiments and make them clear and distinct. But htose that understand what is actually going on in these inventions could in no way predict the future. But the reality of most such inventions are that there is no real clear distinction between the embodiments and unless claims are explicitly limited to only the US allowed embodiment, the examiners can (and do) use BRI – and technically not even unreasonably – to read the claims to capture the non-transitory embodiments. Even distinguishing the embodiments, one is still stating the invention covers the embodiments and your dilemma still exists. I agree that Appeal is the route, but as long as Nuijten governs, that route in the US leads to a dead end.